Wow the black dog must be off chasing the cows with bells on as today I'm really enjoying the views and just being here. After leaving Refugio Elizabetta we walk as close as we'll get to Mont Blanc just 2000m up a moraine, glacier, rock wall and snow domed peak and we'd be at the top. 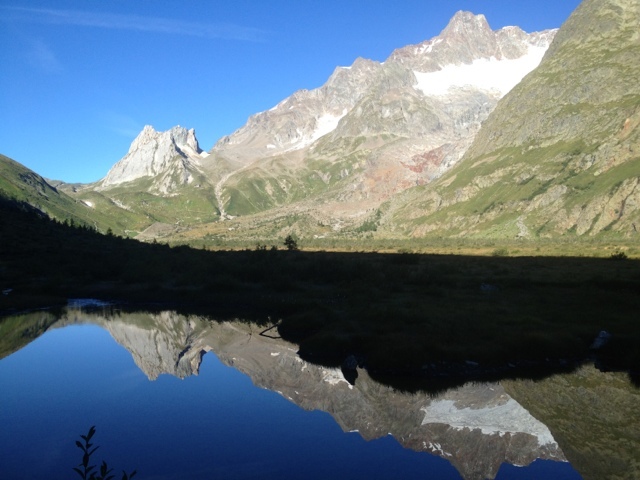 A gentle down hill gave way to another grueling 500m ascent followed by a (relatively) even contouring slog past endless photo opps and clanging cow bells untill a spectacular beer garden type Refugio where lunch and a beer was inhaled. The rest of the day to Courmayer was almost too painfully recall. 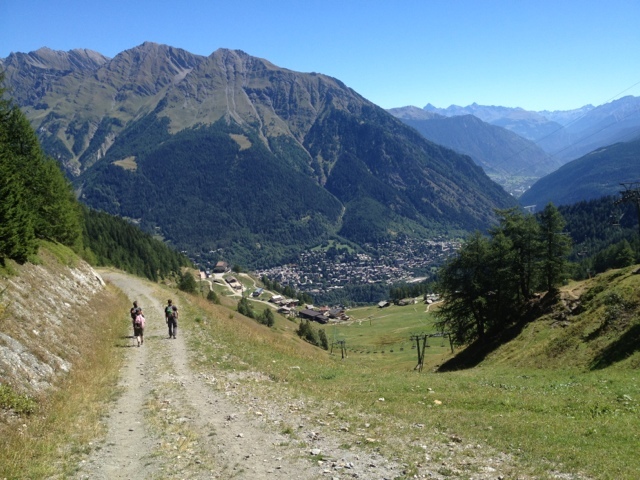 A very steep descent into the valley with endless switchbacks, steps and dusty chutes. The knees and Achilles were at breaking point but if the pain was ignored the fir tree'd path was cool and tranquil (I think). 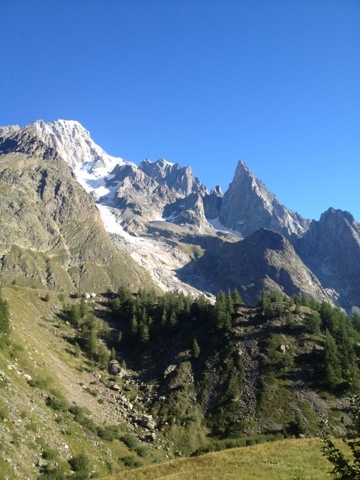 At last Courmayeur or at least it's out skirts. A few more meters and some directions from the tourist info place saw us tucked up in our hotel. Rested and hungry we hobbled back into town for an overpriced dinner. The food options in Courmayer are very limited. I guess most people eat in their hotels. 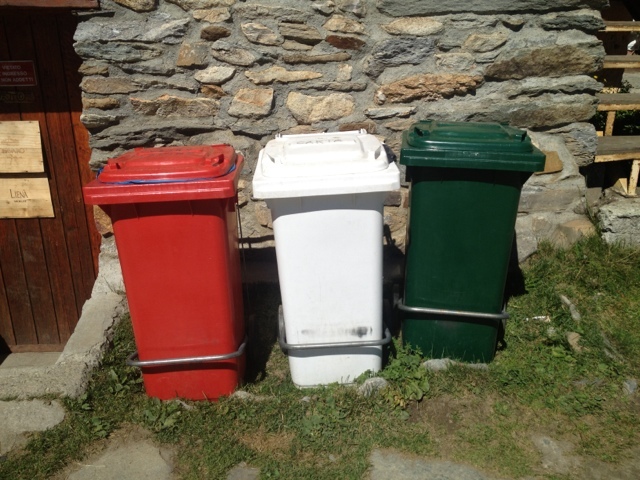 Oh and as you can see by the bins were in Italy still.